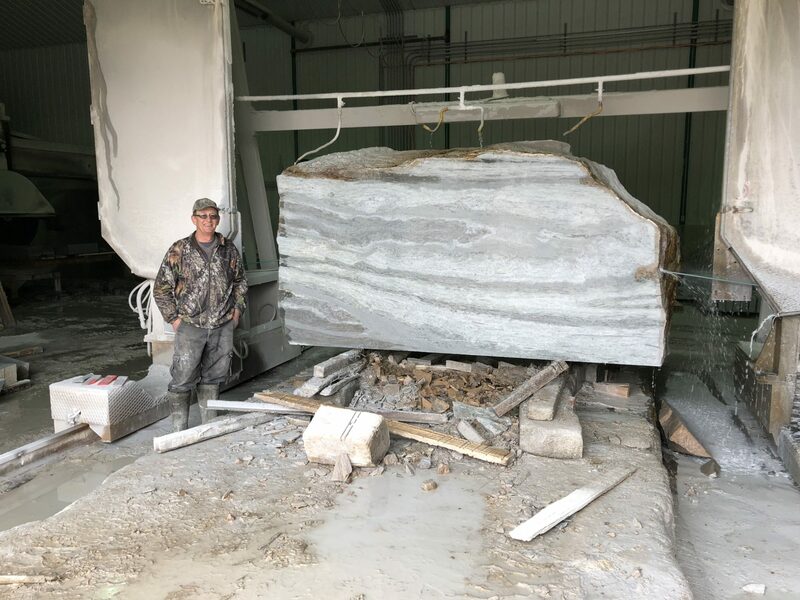 Canadian Wollastonite offers a wide selection of unique decorative stone options for interior and exterior uses. 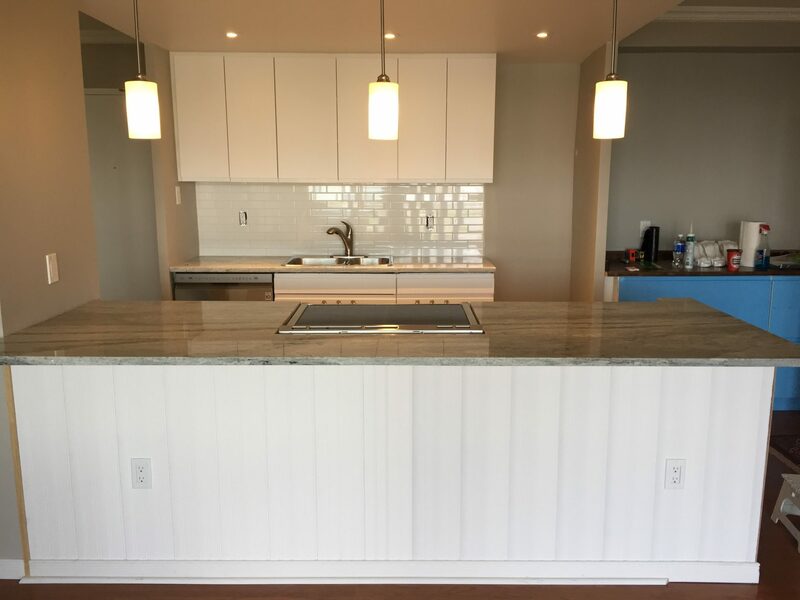 Our wollastonite deposit is bordered by granite providing us with two valuable landscape and dimension stone products to offer. 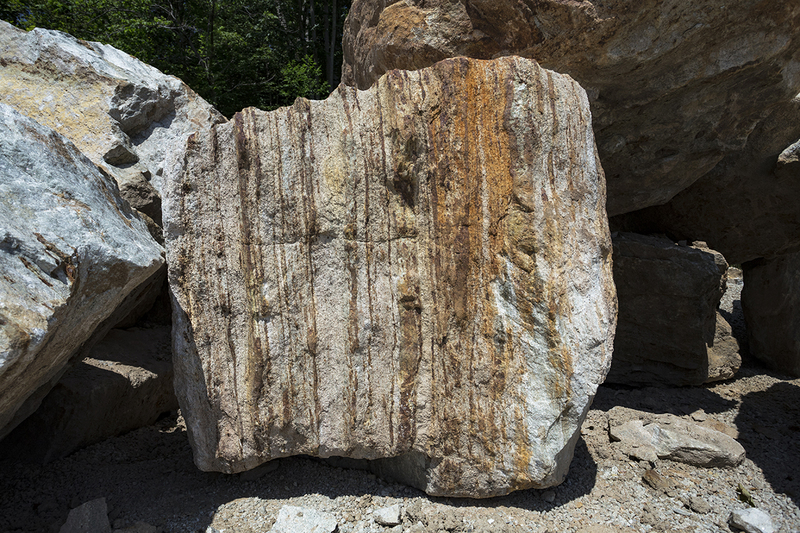 In addition, the intense geologic activity at our mine site resulted in an abundance of visually engaging stones. 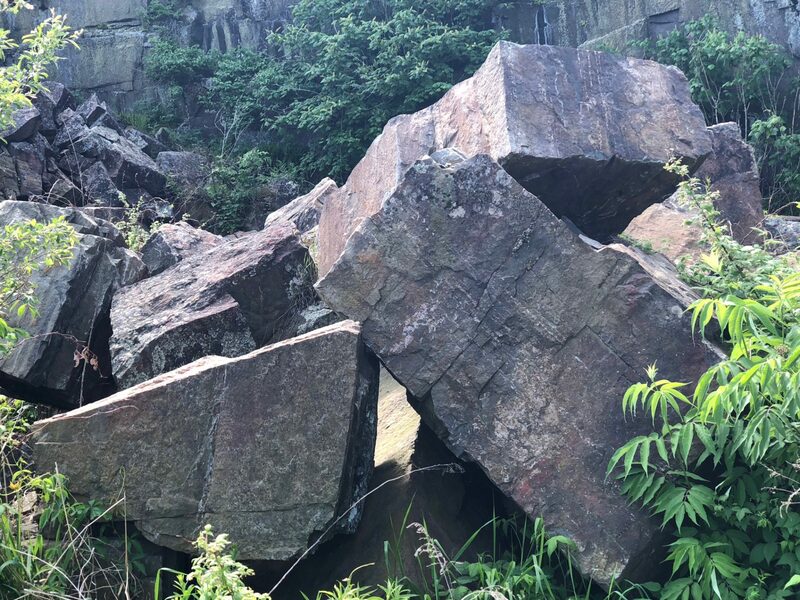 We maintain a large inventory of boulders available for purchase. 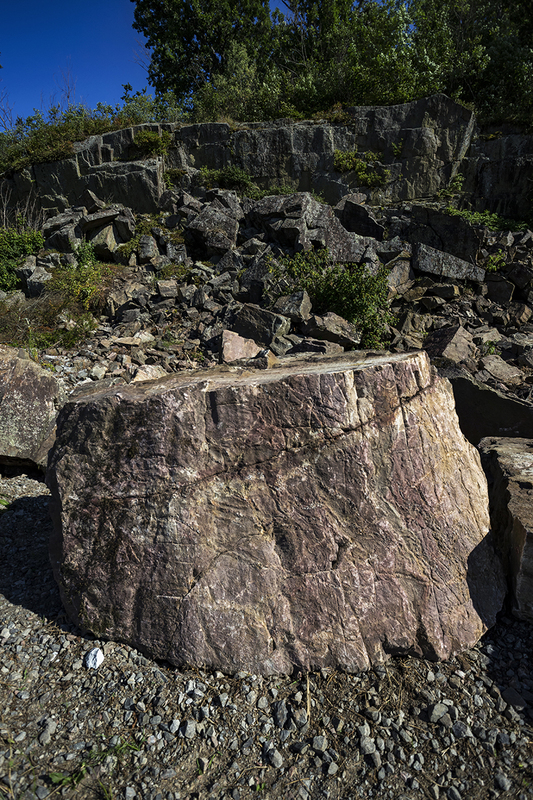 See below for dimension stone and landscape examples. Please contact us for more information. 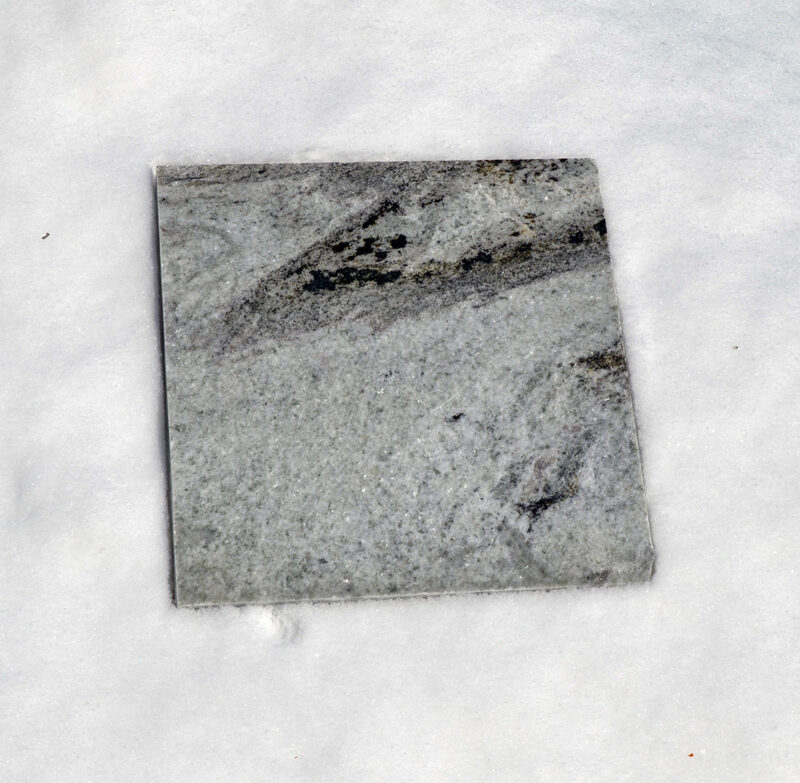 Canadian Wollastonite’s ore has a white crystalline appearance and a unique mineralogy that provides greater strength and durability than marble or granite. The deposit was originally formed between 1.8 and 1.25 billion years ago when Kingston and the surrounding region was covered by a warm seabed. 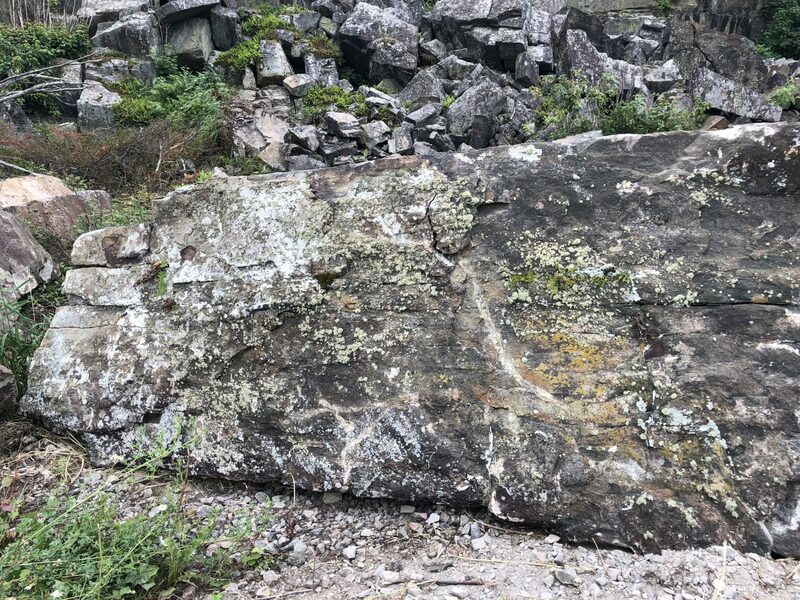 For five hundred and fifty million years, sediments from marine organisms settled on the sea floor, eventually plunging deep into the earth under their own weight and aided by the massive tectonic changes taking place in Earth’s early formation. 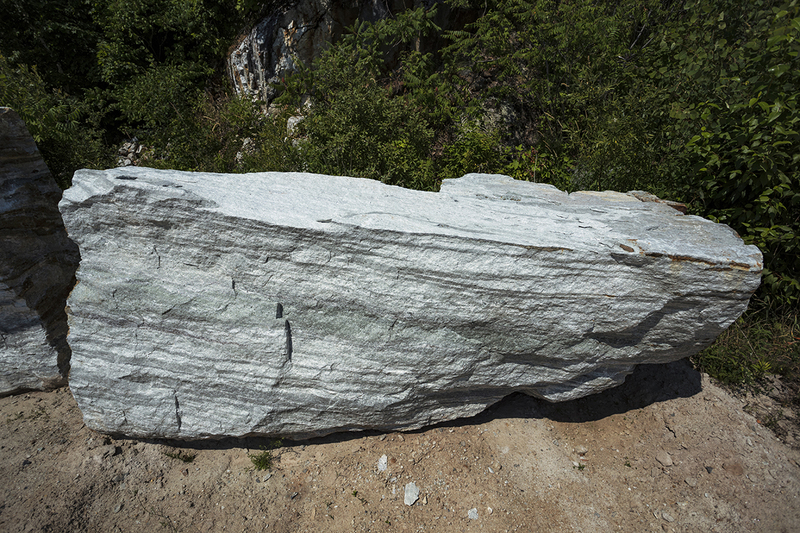 Subjected to extreme heat and pressure, and in the presence of silica fluids, the wollastonite was formed. 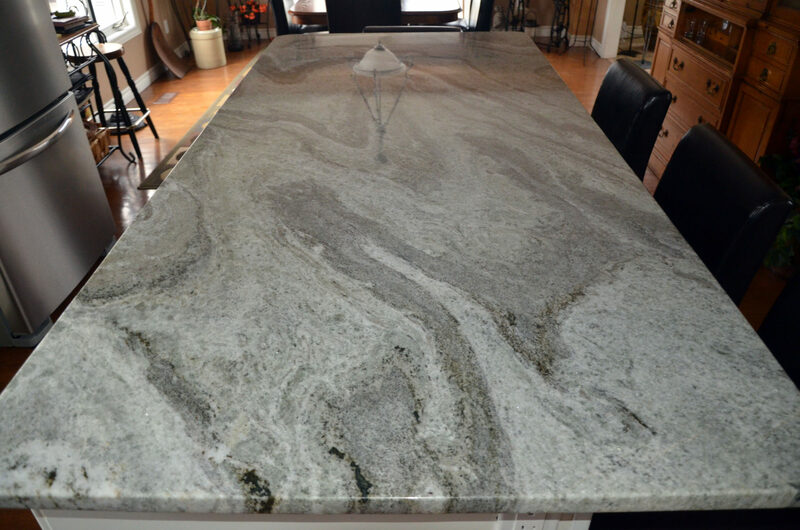 This incredible process can be seen in the rock itself, with molten minerals flowing through it. Our deposit is the only known wollastonite deposit in the world producing dimension products. 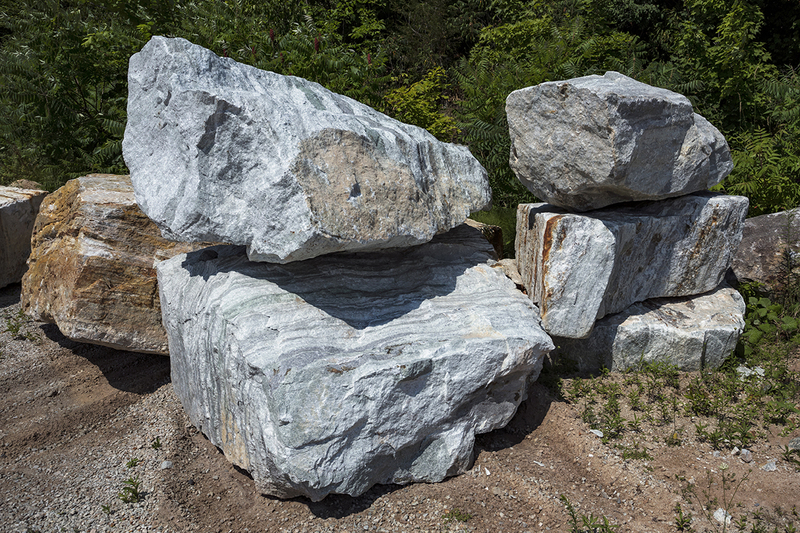 We ship rough cut stone slabs or specially selected boulders from our mine site. 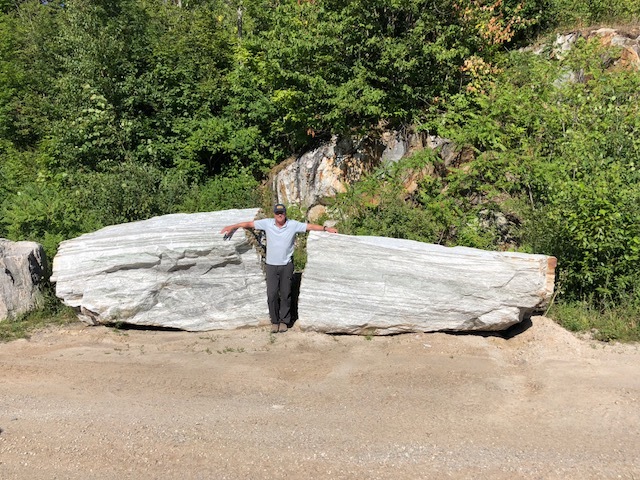 Canadian Wollastonite offers a wide selection of wollastonite and granite boulders. 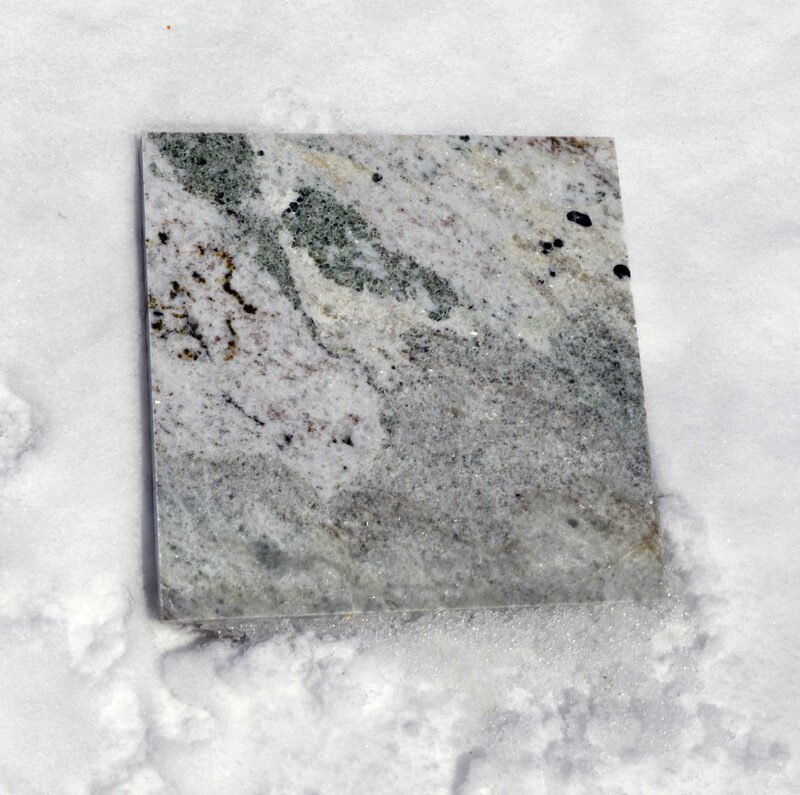 The unique geological features of our deposit result in a variety of appealing patterns and colours. Contact us for more information and to discuss your requirements.